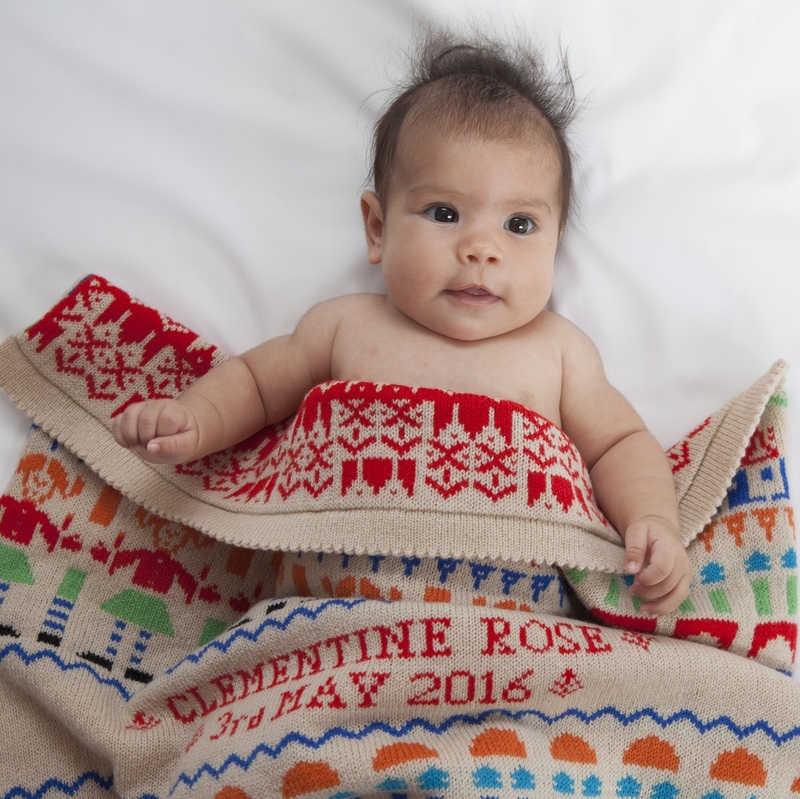 This colourful baby blanket makes a very special personalised gift for a new baby. 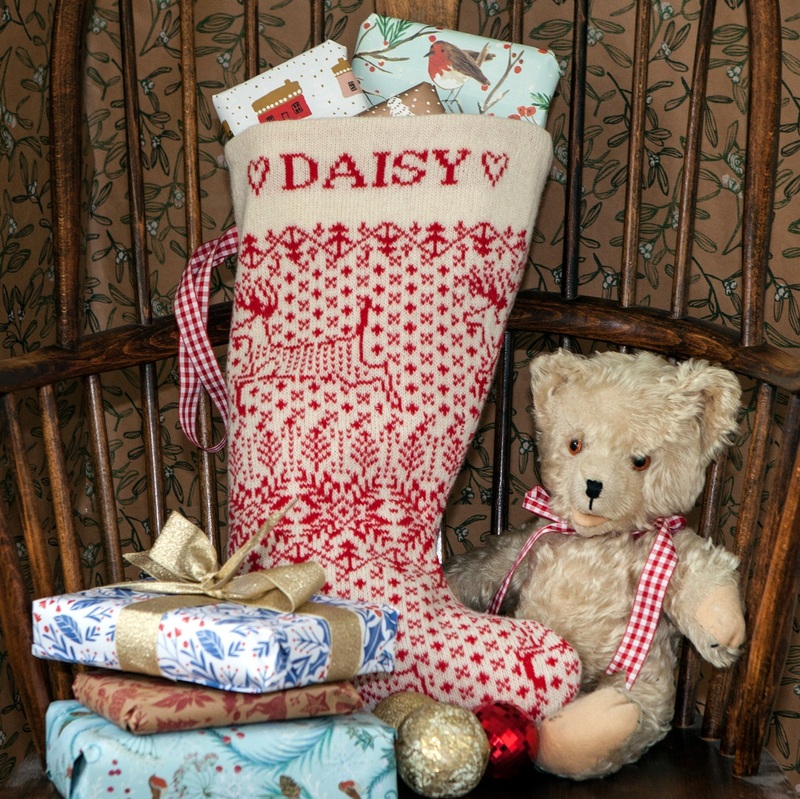 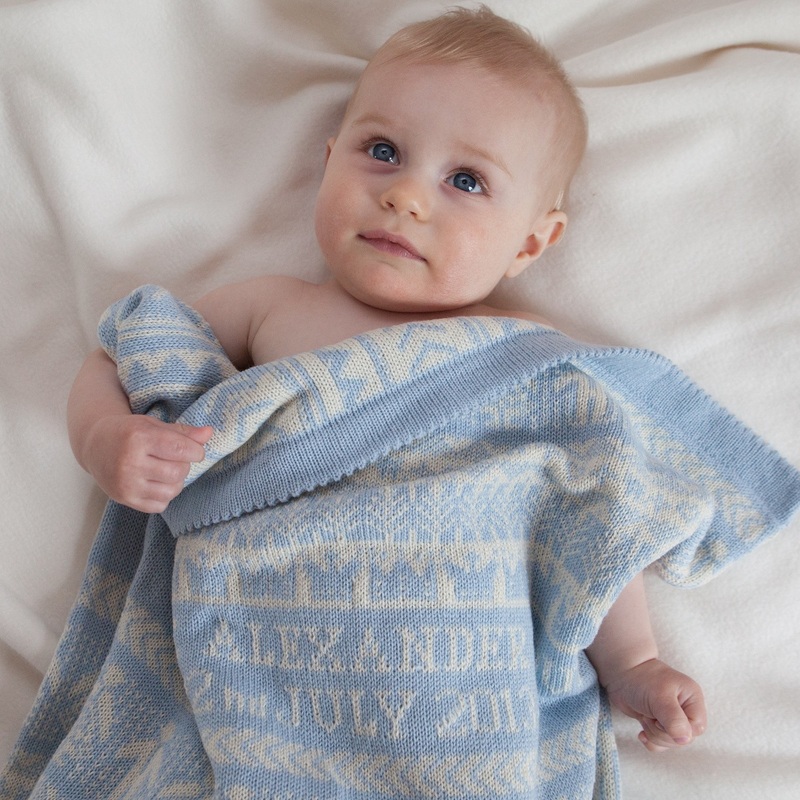 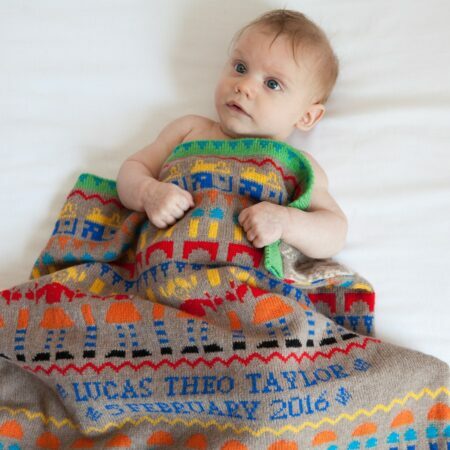 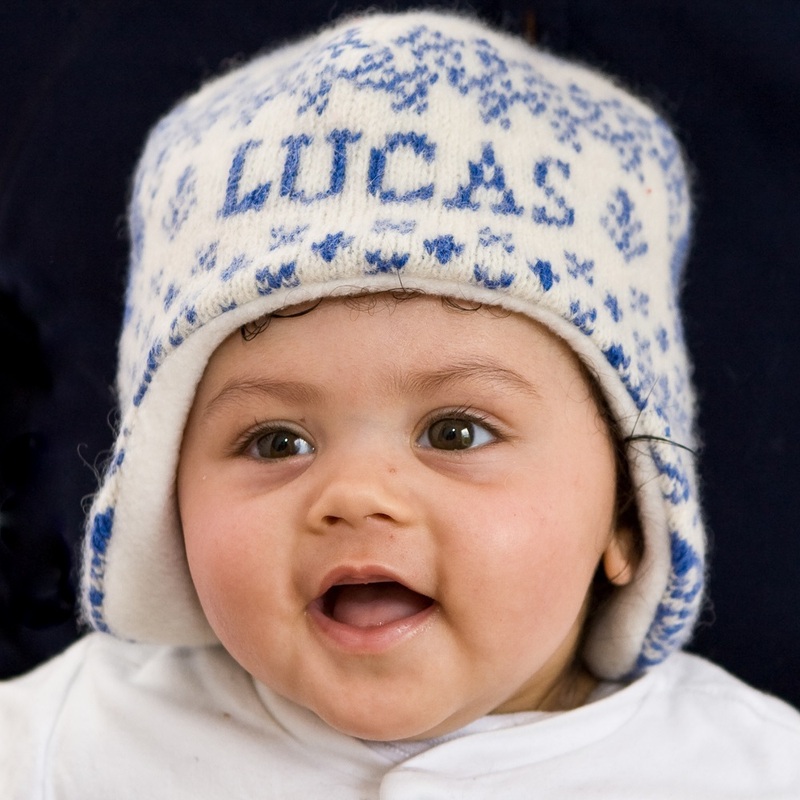 Each blanket is knitted to order in my Norfolk studio, and personalised with baby’s names and date of birth. 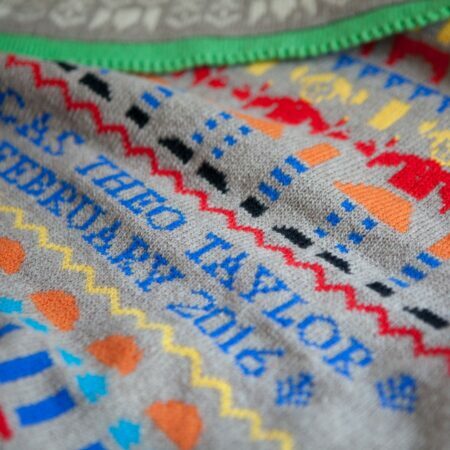 This baby blanket is knitted in my new Toybox design, inspired by toys and happy memories of my own childhood. 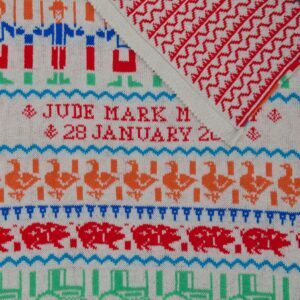 It features rows of toys, including colourful building blocks, dolls, toy soldiers, and houses. 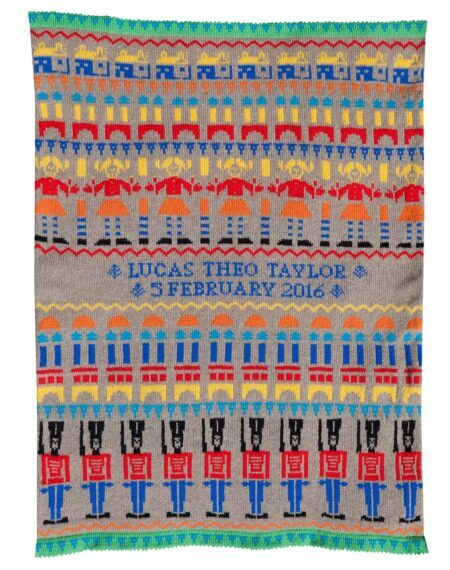 The Parade colourway has a taupe background, with the motifs knitted in bright red, turquoise, orange, black, yellow and royal blue. 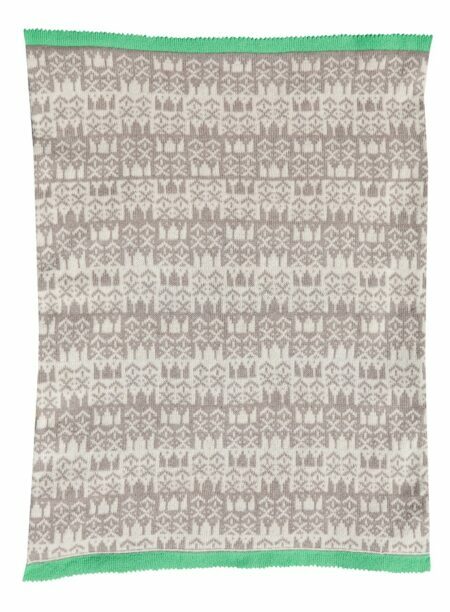 The reverse of the blanket is knitted in a complimentary geometric pattern, in taupe and sand. 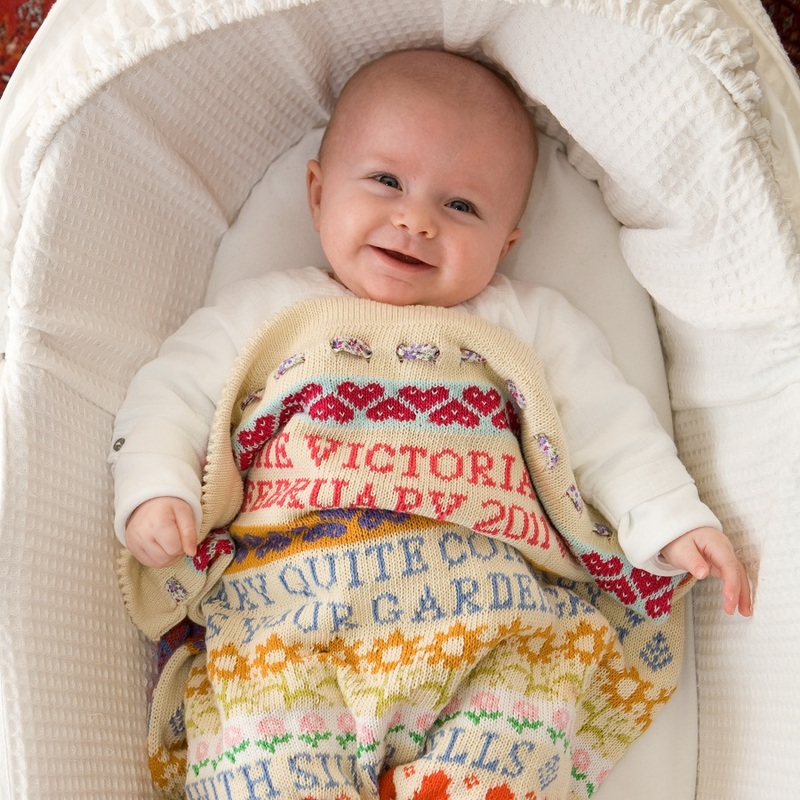 The blanket is beautifully finished, with an apple green picot edging. 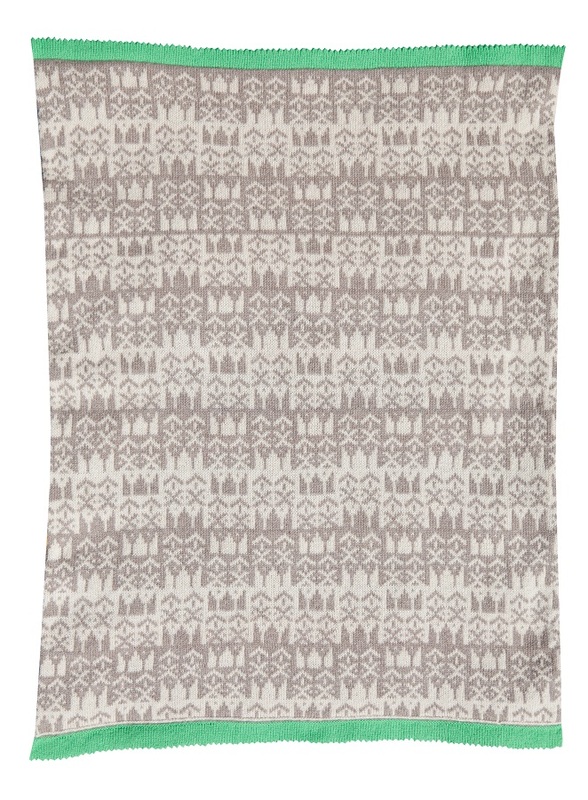 Your blanket will arrive beautifully wrapped in a solid white presentation box. 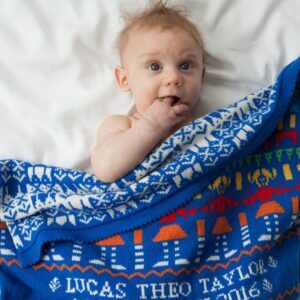 I will include a card with a message from you if the blanket is being sent directly to the recipient, or a blank card for you to write your message.